O4 wheelchairs can be equipped with the RCA-Seat-System. This advanced seat system enables the user to find an ideal balance between manoeuvrability and stability. This is achieved by infinitely setting the RCA-Seat-System relative to the frame. In addition, the sitting posture can be adapted by infinitely adapting the back angle. The elastic seat ensures good suspension and cushioning, resulting in excellent shock absorption. The RCA-Seat-System offers high sitting comfort and riding pleasure. Thanks to a choice of 15 seat widths, 7 seat depths and 5 backrest heights, the RCA-Seat-System is extremely versatile. An anatomically formed contour seat is also an option. And to place a seat cushion, a flat seat unit is also available. 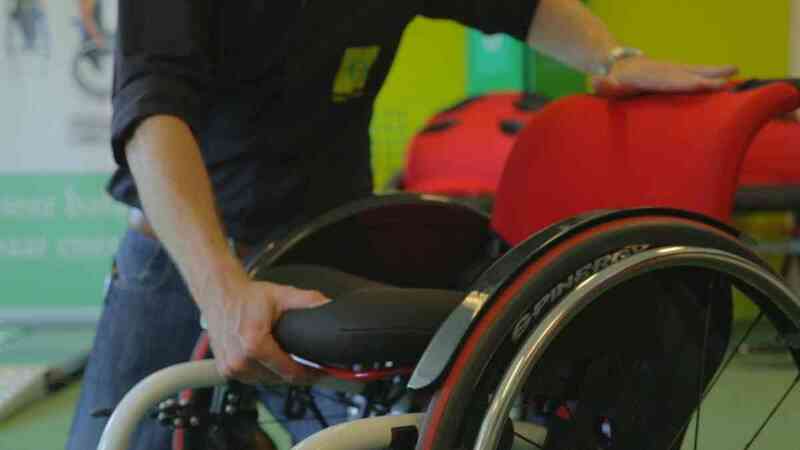 The RCA-Seat-System fits every chassis on all our wheelchairs. "Thanks to the flexible adjustable backrest of the RCA-Seat-System I can check my sitting posture in every situation. That gives me a safe feeling when riding in my wheelchair and offers me new possibilities to develop. I definitely call this good sitting and a pleasant ride!"